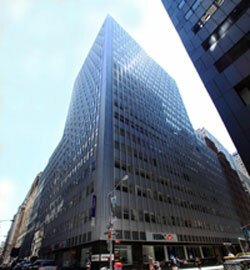 110 William Street is a 32-story, 928,000-square-foot office tower located at the corner of William and John streets in Manhattan's financial district. NEW YORK CITY -- New York-based real estate private equity and asset management firm Savanna has acquired 110 William Street in the heart of Manhattan's financial district in a joint venture with KBS Capital Advisors for $261.1 million. The property is a 32-story, 928,000-square-foot office tower located at the corner of William and John streets. Savanna and KBS purchased the building from Swig Equities and the Dubai Investment Group for $281 per square foot. 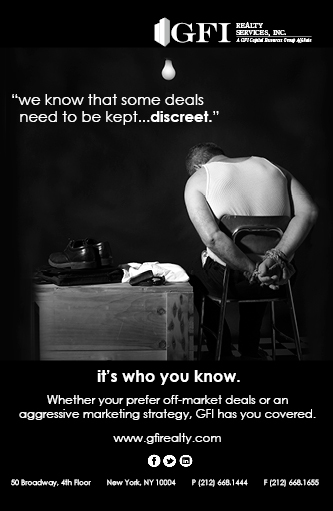 Douglas Harmon and Adam Spies of Eastdil Secured were exclusive advisors for the transaction. Laurie Grasso and Susan Saslow of Hunton & Williams represented Savanna in the acquisition and Carl Schwartz of Hunton & Williams represented Savanna in the joint venture with KBS Capital Advisors. "It's an exciting time to be investing in downtown Manhattan as the long transformation has arrived, with over $30 billion in capital invested in downtown from both the public and private sector over the last 10 years," says Adam Spies of Eastdil Secured. "As downtown has become the epicenter of the region's vast pool of high-value knowledge workers, the demand for office space continues to increase, evidenced by a 22 percent year-over-year increase in rental rates as of the first quarter of 2014." Savanna plans to undertake a capital improvement plan at the building during its hold period, which includes modernizing the lobby and entrance, renovating the roof and fa�ade, and upgrading bathrooms and corridors. A Newmark Grubb Knight Frank team of Hal Stein, Andrew Peretz, Adam Leshowitz and Todd Stracci will lead leasing efforts, while Swig Equities will provide property management services. 110 William Street offers transportation access that includes direct entry from its lobby to the subway and the Fulton Center, a transit hub to be completed in June. Fulton Center will link eight subway lines and an estimated average of 275,000 passengers per day. In addition, the World Trade Center Transportation Hub to be completed in 2015 will serve more than 200,000 commuters each day. It will connect visitors to 11 subway lines and the PATH rail system. 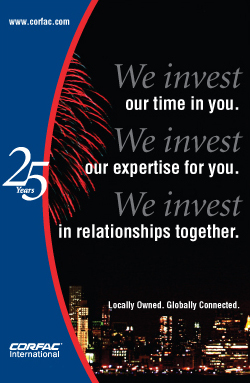 Savanna was formed in 1992 and is run by managing partners Chris Schlank and Nick Bienstock. The private equity firm has invested more than $2.1 billion across 19.3 million square feet of office, retail, residential and industrial property. 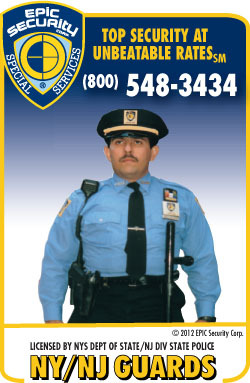 to the LaGuardia Airport area. 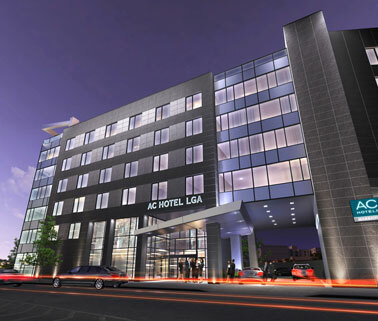 NEW YORK CITY -- Marx Development plans to develop an AC Hotel by Marriott, located at 112-24 Astoria Blvd., near LaGuardia Airport in New York. The developer is expected to break ground on the 126-room hotel in October. Designed by DSM Design Group and Andres Escobar, the six-story, 99,000-square-foot hotel will feature approximately 3,800 square feet of meeting space, fitness and business centers, a breakfast area, bar and lounge, and 72 parking spaces. Eastern Union Funding arranged a $3.75 million loan to purchase a 16,141-square-foot lot, which will be the future site of the hotel. Shaya Ackerman of Eastern Union Funding brokered an 18-month bridge loan provided by Maxim Capital Group for the development. KUTZTOWN, PA. -- Cherry Hill, N.J.-based NFI has opened a 1 million-square-foot distribution facility in Kutztown for Ocean Spray. The facility will serve as the distribution center for 40 percent of Ocean Spray's global volume. The center broke ground in July 2013 and was completed in 10 months. The opening of this facility represents a continuation of the 13-year partnership between NFI and Ocean Spray. Situated on 4.6 acres, the redeveloped 40,045-square-foot shopping center will be anchored by Retro Fitness and Dollar Tree. LEVITTOWN, PA. -- Levittown Partners LLC has purchased the former Giant supermarket at 4595 New Falls Road in Levittown. 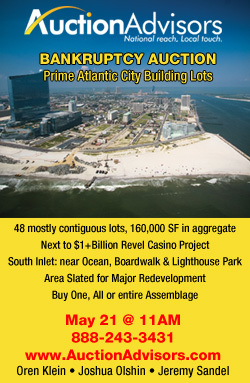 The 40,045-square-foot building was sold by Levittown - ARC LP for an undisclosed price. Situated on 4.6 acres, the property is being redeveloped into a new shopping center that will be anchored by Retro Fitness and Dollar Tree. The property has a 12,000-square-foot end-cap space and a 5,000-square-foot future pad site available for lease. Retro Fitness signed a 10-year lease to occupy a 13,000-square-foot space and Dollar Tree signed a 10-year lease for 12,000 square feet in the redeveloped building. Richard Soloff and David Dunkelman of Soloff Realty & Development represented the buyer and seller in the transaction. PAINTED POST, N.Y. -- Erwin Hospitality Associates has opened a Hampton Inn in Painted Post. Located at 248 Town Center Road, the 98-room hotel is the only Hampton property in Painted Post and the 48th in the state. The hotel features Hampton's Perfect Mix Lobby, designed with a variety of seating and lighting options for both leisure and business travelers, and well-equipped guestrooms with modern amenities, including microwaves, refrigerators and LCD, flat-screen televisions. Visions Hotels will manage the property, which is owned by Erwin Hospitality. 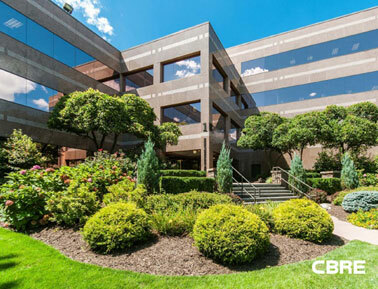 Morris Corporate Center I and II in Parsippany, N.J.
PARSIPPANY, N.J. -- CBRE's Debt & Structured Finance Group has secured a $69.5 million loan for the acquisition of two Class A office properties in Parsippany. 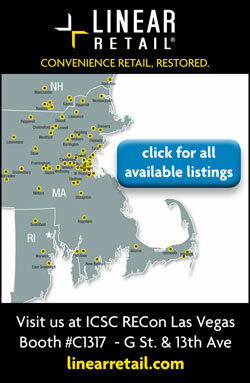 Beverly, Mass.-based Brookwood Financial Properties purchased the properties, which total 529,362 square feet. Situated within a 182-acre corporate campus, Morris Corporate Center I offers 261,924 square feet and Morris Corporate Center II offers 267,438 square feet. The property is currently 78 percent occupied by a variety of tenants, including Zurich, ICAP-EBS, Ralcorp, Farmers Insurance and Medtronic. Brookwood plans to invest approximately $3 million in property upgrades. Charles Foschini, Christian Lee and Christopher Apone of CBRE's Debt & Structured Finance Group brokered the three-year, interest-only floating-rate loan, which was provided by Los Angeles-based Starwood Property Trust. 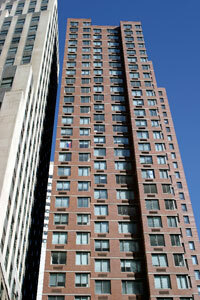 15 Cliff Street, a 156-unit apartment building in Manhattan's financial district. NEW YORK CITY -- Meridian Capital Group has arranged $58.6 million in acquisition financing for a multifamily property located in Manhattan's financial district. The borrower, San Francisco-based Carmel Partners, acquired 15 Cliff Street, an apartment building with 156 units and ground-floor retail space. The seven-year mortgage, which was provided by a regional balance sheet lender, features an interest-only component and a floating rate that was swapped to a fixed rate for a portion of the term. Aaron Birnbaum of Meridian's New York office and Seth Grossman of the company's Carlsbad, Calif., office negotiated the transaction. UNION CITY, N.J. -- Moonachie, N.J.-based Weiss Realty Co. has brokered the sale of a Walgreens property in Union City. Located at 3333 Park Ave., the 11,000-square-foot property sold for $5.2 million. Jaime Weiss and Arnold Litt of Weiss Realty represented both the seller and the 1031 tax-deferred exchange buyer in the transaction. 150 free-market and rent-stabilized units. NEW YORK CITY -- Rosewood Realty Group has brokered the sale of six walk-up residential buildings in New York City's Upper East Side. SW Management purchased the 69,740-square-foot portfolio for $47.8 million from Pan Am Equities. 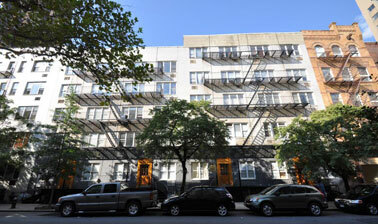 The five-story apartment buildings, which offer 150 free-market and rent-stabilized units, are located at 413, 415 and 417 East 81st St. and 427-431 East 83rd St. Aaron Jungreis of Rosewood Realty represented both the seller and buyer in the transaction. 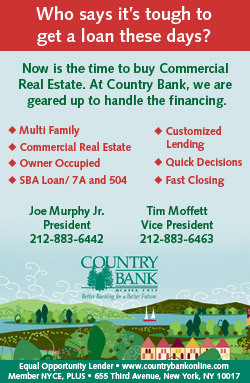 leased to Lenox and Strategic Distribution. BRISTOL, PA. -- New York-based Angelic Real Estate has arranged a $9.6 million loan for the acquisition of Island View Crossing, an office building in Bristol. Located along the Delaware River northeast of downtown Philadelphia, the 180,000-square-foot property is currently leased to Lenox and Strategic Distribution, among others. The property was converted from a soap factory into an office building. 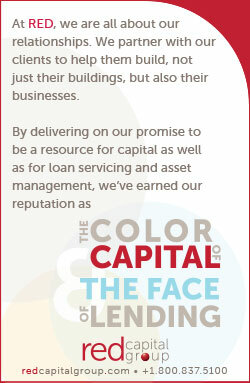 Gabriel Silverstein and Louis D'Lando of Angelic led the financing team that secured the loan. The undisclosed borrower plans to upgrade the building's common areas and amenities. SOUTHPORT, CONN. --- Quincy, Mass.-based The Grossman Companies and Southport-based Summit Development have acquired an office building at 200 Pequot Ave. in Southport. The 12,700-square-foot building sold for $2.4 million, or approximately $185 per square foot. The buyers plan to upgrade the property's common areas and lease out the building, which is currently 43 percent occupied. The undisclosed seller, a former tenant, sold the property directly to the buyers in an off-market transaction. FALMOUTH, MASS. -- Cambridge Capital Advisors has brokered the sale of Inner Harbor Marketplace at 77 Scranton Ave. in Falmouth. Scranton Holdings Corp. sold the 35,000-square-foot shopping center for $9.4 million to Falmouth Retail LLC. The shopping center is anchored by a Windfall Market, which executed a new 15-year triple-net lease upon close of escrow. Additionally, West Marine, which has occupied the center since 1994, exercised a five-year lease option. 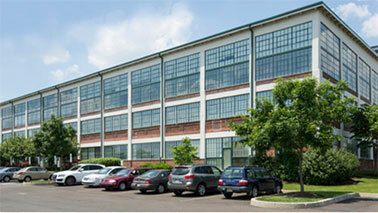 Michael Scanio of Cambridge Capital Advisors represented both the seller and buyer in the transaction. Overview: The second annual New York Summer Apartment Summit sponsored by CapRate Events.